Enjoy your night at the best strip clubs in London. Check our recommendations about lapdancing and pole dancing clubs in London, UK. London’s Secrets Lap Dancing Club offers you the opportunity to enjoy a sensational strip dance tailored to your needs. The club has continuous stage dances as well as table top dances. The girls are beautiful, warm and real teasers. You can have general fun in the club or go to more exclusive rooms for an intimate session with the dancers. Stringfellows is situated in Covent Garden, London. It has a stylish setting and luxurious ambience which sets the mood right for relaxation. Be entertained by stunning beauties and watch sensational strip dances, including table top and pole dances. There is a wide variety of drinks to choose from and the company of like-minded gentlemen is great. 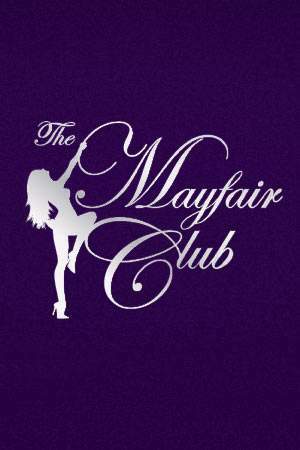 At the Mayfair Club, every man is treated in a special way. Located in West London, on 50 Dover Street, it is one of the more glamorous and exclusive gentlemen’s clubs that side of London. Enjoy the best tease strips from attractive exotic and cosmopolitan dancers as you unwind with a drink. Book a V.I.P table for a more intimate experience. Whites is an exclusive gentlemen’s club in Leman Street, Aldgate. It is subdivided into the lounge/club room, school room, office room and the sensual dungeon. The club is renowned for its beautiful ladies and their skills in pole dancing. You can relax in the lounge and watch them get down and dirty or move to either of the other rooms for a more private session. The Windmill is the U.K’s most renowned club for table dancing. Meet exciting people and socialize with like minded men who are out to have a good time. The club has the freshest, most alluring beauties dancing and making a go for the striptease. Plenty of drinks and good food available too. New Churchill’s is an exclusive gentlemen’s club where all the discerning and respectable men can converge for a night of fun and relaxation. Sample your drinks in a comfortable, serene environment with plenty of girls to socialize, drink or dance with. You can visit on your own, or with friends or clients. Transport can be arranged, based on availability.